According to Forrester, 93% of online experiences begin with a search. To get your brand in front of these potential customers, you need to develop an online presence that makes your brand known on the search engines. An important part of this strategy is paid advertising. For those just getting started with PPC, finding helpful AdWords tips can help them get their campaigns off to the right start. What makes Google AdWords so important? Google AdWords dominates many conversations about PPC. It holds such an important position because it remains the largest PPC platform. Google itself holds the majority of the US search market and a considerable amount of the market in most other countries as well. Using PPC through this platform can provide a powerful means of reaching prospects. According to Google’s own internal research, AdWords also provides value to brands because of the returns people see. They average that people make $2 for every $1 they spend on their ads. An increasing number of people have turned to PPC as a means of supplementing their organic efforts because of the growing competition on the search engine results pages (SERPs). An estimated billion websites are live online now, and people can find just about anything they could possibly need online. This makes it even harder for many organizations, particularly smaller businesses, to rank highly on important keywords. PPC with AdWords can help them get the attention they need. If you are getting started with PPC, here are 26 Google AdWords tips that we wish we knew when we were getting started with our first campaigns. Negative keywords are the words that you do not want your ad to appear for. For example, many people develop negative keyword lists that include terms like, “free” or “jobs”. These terms would indicate that the searcher likely wants to find a free version of the product or service you sell or that the person wants to find jobs in your industry. Neither one of these situations will bring you customers. By optimizing your ads for negative keywords, you can help eliminate any potential searches that would waste your ad budget without bringing you the return you want to see. Making your lists more efficient so that they remain focused directly on the prospects most likely to engage with your brands will ensure that your money goes to the best possible use. Not removing duplicate keywords is a common mistake. Brands assume that since they will just be competing against themselves, failing to remove them will not have an impact on their performance. It does leave people open to further errors, however. For example, if you reduce your bid on one of the keywords, neglecting the other versions, you might not realize that Google switched over to the other listing. Updating your lists to remove duplicates will also make tracking easier. You want your data as clear and easy to interpret as possible, as it will guide the rest of your campaign. The importance of strong data cannot be underestimated in Adwords tips. Google AdWords allows you to bid on a competitor’s name. This empowers you to reach out and remind potential clients of competitors that you might have something worth examining before they make a purchase. These ads can be beneficial because you already know that these prospects have an interest in your industry. Instead, your priority lies on making them see why you should be given consideration over the other organizations. Keep in mind that rules do exist for brands who want to use this tactic. Google does not allow you to pretend to be your competitor in the ad. You also cannot use the competitor’s name in the actual text. Those who follow these rules, however, have a quick means of reaching out to competitor clients. Google has clarified that they do not track a Quality Score on the account level, but they do seem to track a brand’s advertising ability and use that when determining the CPC for a new keyword. To maximize your reputation and minimize costs, track the Quality Score for each of your keywords. For keywords that have low scores you should look to improve them by increasing the relevancy of their landing pages and the ad copy. If they do not perform well in addition to having a low score, consider just deleting them from your group. When ad groups start to get bigger than two or three dozen words, they could start to hinder your performance. You want to make sure that your ad text and your landing pages are highly relevant to the user. If you have a group that gets too large, you likely can split it into at least two groups. Doing so will enable you to create more personalized copy and content, which will in turn help your quality score and create a more engaging experience for users. In addition to tracking your own keyword performance, you should also look at your performance from the other direction. Check to see what people type when they end up landing on your page and converting. You will likely find some new terms, particularly for your broad match keywords, that people use when encountering one of your ads, clicking, and engaging with your site. These new keywords can be added to your own ad group as high performing terms. Remember that you want to keep your ad groups as tightly controlled as possible. You do not want to have keywords taking up space and potentially draining your budget that do not perform as expected. Regularly check the performance of the different ads you have running and remove the ones that do not drive the results needed. Your click-through rate will likely be the most helpful metric here for determining the ads that need to be changed, but some will prefer to use their direct conversion rate. For many brands, it can be a challenge to earn the rankings needed to gain attention for high-pressure keywords. While you wait for certain organic efforts to really earn the rankings needed to draw attention, traffic, and clicks, consider using an AdWords campaign. This will allow you to build the presence you need for these important search terms. You will also begin to gather data about how people respond to your landing page when they arrive from the ad. This will give you tips regarding modifications that can help improve engagement and boost your organic standings. When people click through from your ad to your website, your landing page must answer the needs of these users. Think carefully about what people clicking through will want to see and design a page that will engage them. If your landing page does not align with customer needs, then you will have high numbers of people who click through the ad and then click right off your site. This will hurt your website and end up wasting your PPC budget. Focus on designing pages that help customers. Repeat the message you conveyed in your ad on your landing page so people know they have arrived in the right place. This alignment will be the cornerstone of these AdWords tips. There are a few different keyword match types that you can use on AdWords. The first is known as a broad match. This means that the keyword phrases you target your ads for can appear in any order and that synonyms will be accepted. A broad match modified means that you want to have the keywords in the order that you have them listed, but you do not mind if other words appear in between. For example, “divorce lawyer Houston” would show up for “best divorce lawyer advice in Houston”. A phrase match means that you want the ad to appear only when the phrase exactly matches the one you have listed. Finally, you have an exact match. While a phrase match requires the words to exactly match your phrasing, an exact match takes it a step further and ensures that the whole query matches your targeted phrase. Select the type of match that will best fit your needs. The more constrained you make your keyword match, the more control you have over the audience, but the smaller audience you will have. Balance this trade off to find your best solution. Many campaigns will find that they want to adjust their keyword match over time as the data starts to arrive from the campaign. Starting off with a broach match will let brands gather the most possible data about their campaign, which can then be analyzed to see if tighter control over the audience will benefit the business. The data provides you with more information about how people search habits relate to your industry and impact your campaign. This allows you to build your negative keyword list and adjust your match requirements. Google offers several different fields for the posting of relevant content. Using all of the available space will help you give the optimal picture of your product or service. You can include a URL, which should link to that awesome landing page we discussed in Tip 1, along with headlines, a place to include your location, context for your ad, and a description of the product or service you want to promote. Structured Snippets– where you can include additional information about the features included in your ad. You will need to select a category from a predetermined list. You will find more options on the Google AdWords page itself. Use as many of these options that can boost your own ad campaign. AdWords tips should help you better identify and target your audience. Google allows you to display ads to people who appear only in certain geographic areas. This benefits a wide range of businesses. Local businesses can use this feature because their most likely demographic consists of those within a certain radius of their location. It can also be used, however, by larger companies who want to promote items for certain seasons or weather. A company that sells snow gear, for example, might want to target customers currently experiencing cold weather. People in warmer climates will not likely make purchases from them. Using the geo-targeting allows brands in both groups to create a more precise prospect list, thus helping to control costs and boosting the success of their campaign. If you have an ecommerce store, your ad campaign will not be complete without a shopping campaign. With a shopping campaign, you can let Google know the products you want to display, along with a brief description and price. This will allow your product to appear when customers type in queries indicating that they want to make a purchase. To create a shopping campaign, you will upload a list of your products to the Google merchant center. You can do this through your Google AdWords account. Like other campaigns, you will set your minimum and maximum bid. You can also set the priority of this campaign. Once you follow these steps, your products will be ready for display during relevant purchase queries. Tip 16. Use your AdWords campaign to test keywords from your organic efforts. PPC and organic both work better when people use them together. Use the data from each campaign to inform the other. When you run your AdWords campaign, measure the success of your various keywords in terms of click-through rate, engagement on the site, lead generation, and ROI. This will let you know if any of these keywords might also benefit from organic campaigns. Similarly, if you rank organically for certain keywords, but the pages do not generate much income for the site, you will know not to include those keywords in your ad campaign. It can be tempting to reduce your ad campaign down to a single metric, such as clicks. To get the full picture, however, you want to look at a number of different metrics. This will let you see how the ad performs throughout the sales funnel, which will give you a better idea about what requires improvements. Look, for example, at how many clicks your ads receive, how many leads they generate, how many of those leads can be classified as qualified, and the revenue generated. If you have a weak stage in the sales funnel, you have a starting point for improving your revenue. As you move through your campaign, track carefully how much keywords cost you and how many leads and the amount of revenue they generate. Keywords in groups that cost a lot of money but do not produce strong returns will not benefit the brand, even if they are popular searches. Delete keywords that do not produce the needed returns. Tip 19. Take advantage of the remarketing lists for search ads. Remarketing offers a powerful tool for brands. When you use remarketing campaigns, you target people specifically who have already visited your website. You know they have expressed an interest in what you have to offer, but for some reason did not feel compelled to buy in that moment. Remarketing campaigns can help you draw their attention back to your site and provide that extra incentive to convert. You can adjust the bids you make on AdWords based on whether or not someone has visited your site before. This will allow you to provide specialized campaigns for those who have already expressed an interest in your business, creating copy that aligns closer to their unique needs. Brands can also target bids based on whether or not a person has interacted with you on YouTube or through mobile apps. You can create even more precise ads for these unique past site visitors, acknowledging their place in the buyer’s journey and helping them move forward. Most people running AdWords campaigns have budget restrictions. To maximize your return, prioritize your budget towards your highest performing campaigns. Once you feel confident that these campaigns have the funds they require to be effective, you can put the rest of the money towards the slower campaigns that might need more editing and adjusting. As you revise and improve these campaigns, you may notice a shift in which campaigns get the highest priority, so regularly evaluate which campaigns perform the best. Understanding the importance of regularly revisiting your campaign remains one of the most important AdWords tips. Once you create an ad, you do not want to just leave it alone. You should always look for ways to improve its performance. The best way to do this is by running multiple variations of the ad to see which performs better. Generally, you want to have at least two ads running for desktop and two for mobile. Look at the versions of the ad to see which ones drive the most clicks, conversions, and revenue. Once you have an effective ad, you can continue to make minor adjustments, such as experimenting with colors, punctuation, and even capital letters to see if you can boost your success even higher. Your ad will have different times of the day when it will perform better. For example, certain businesses may see higher success rates in the evening, after the work day has finished. Others will see improved performance in the mornings or even on the weekends. Analyze your data to see which times of the day work best for your ad. 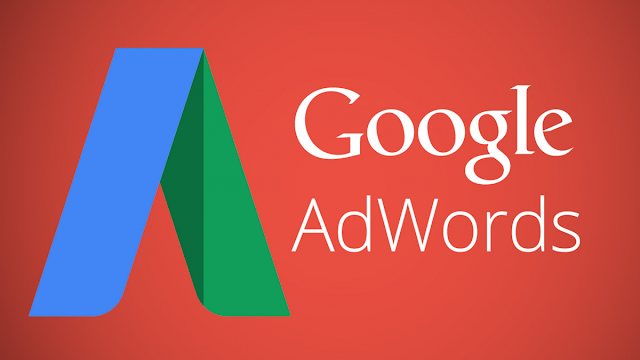 You can then use this information to create an ad schedule on AdWords . This allows you to create a more precise audience by bidding only during these particular times. With a more precise audience, you will improve the success of your campaign. Many brands will also be able to determine particular locations where they might have a greater percentage of converting users. Examine where your top traffic and conversion rates arrive from. This information can be used to create more location-specific campaigns. These AdWords tips will all work to help you create more effective ads and find your optimal audience more efficiently. Mobile increasingly dominates search, outpacing desktop since 2015, so no list of AdWords tips would be complete without considering these users. Brands that do not pay attention to mobile users, including their ad campaigns, will be quickly left behind. If you have a campaign that drives a lot of traffic specifically from mobile devices, developing a separate mobile campaign for that keyword will be helpful. You will be able to modify your landing page, ad copy, and other elements to ensure that you align well with the mobile user. With mobile becoming increasingly popular, brands should also pay attention to the importance of how these mobile users phrase their queries. Two main patterns should be noted. The rise of voice search. Usage has been increasing in recent years, with Google reporting that about 20% of mobile queries occur through voice search. With voice search, users typically use full sentences such as “what is the weather in New York City?” instead of “weather New York City”. The second trend occurs when mobile users type. People on the small screens of mobile devices will not likely use long and complicated keywords. They regularly use abbreviations and find ways to shorten what they ask. When you select your keywords for your mobile ads, consider these AdWords tips carefully. Look to find keywords that match well for either voice search users or those trying to type of mobile devices. Do not attempt to build campaigns around complicated keywords. All writing on the site should be easily viewed on mobile devices. This means avoiding fonts and colors that are too small to appear clearly. Any video on the site can be played on mobile devices. Sometimes certain video players will have trouble playing on mobile devices, so test any players you have. Buttons and other navigational tools should be large enough for comfort and far enough away from other buttons. Remember that people on mobile press buttons with their fingers, so help them avoid problems navigating your site. Minimize the amount of typing required on the site. It can be a challenge to type out a lot of information on mobile devices. Make it easier for people by using auto-fill forms whenever possible, triggering your website to remember repeat visitors, and reducing the number of fields on any forms to the bare necessity. Google AdWords can be a powerful tool for brands interested in taking their strategy to the next level. It allows organizations to complement their organic strategies to drive their recognition and brand awareness. While setting up an ad strategy can seem overwhelming, using these AdWords tips should allow you to get started creating strong campaigns that will help you to build your brand recognition. Take it a step further with more power from the PPC services offered at LYFE Marketing.Contact us to evaluate and manage your AdWords campaigns and find out more AdWords tips!